Tooth Protectors Program Coming to Sanford in December! 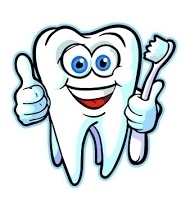 Tooth Protectors, Inc offers oral assessments, education oral hygiene instruction, dental cleanings, fluoride treatments, sealants of baby and adult molars and pre molars, temporary fillings and referrals. Forms are available here and in Room D105 and must be submitted by 12/3/18. Please complete the permission form and have your student either return it to the SHS/SRTC school nurse's office, fax it to 207.324.0285 or scan and email it to lsignore@sanford.org. Call Lynne Signore, RN at 207.206.1708 with any questions!